Hello! 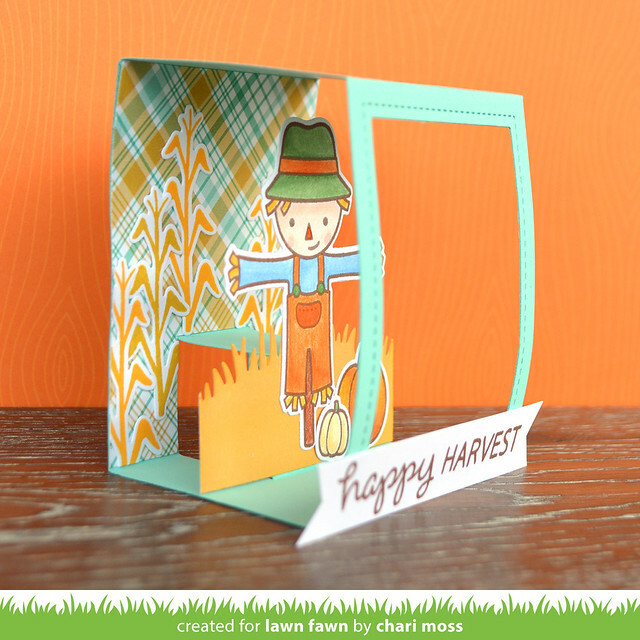 Lawn Fawn Inspiration week continues today with the new shadow box card. This is a fun new die set that helps you create fun shadow box scenes. I went for something a little different and tried turning my shadow box vertically. To do this I abandoned the interior elements you would normally use for the inside of the box and instead used one of the pop-up dies to create the mechanism to hold the scarecrow inside the box. I cut my background paper with a notch to fit around the pop-up piece and added some distress oxide ink stamped cornstalks. The grass is also colored with distress oxide ink and covers up the pop-up mechanism. I colored my scarecrow and pumpkins from Happy Harvest with colored pencils and added a banner sentiment at the very bottom of my shadow box. 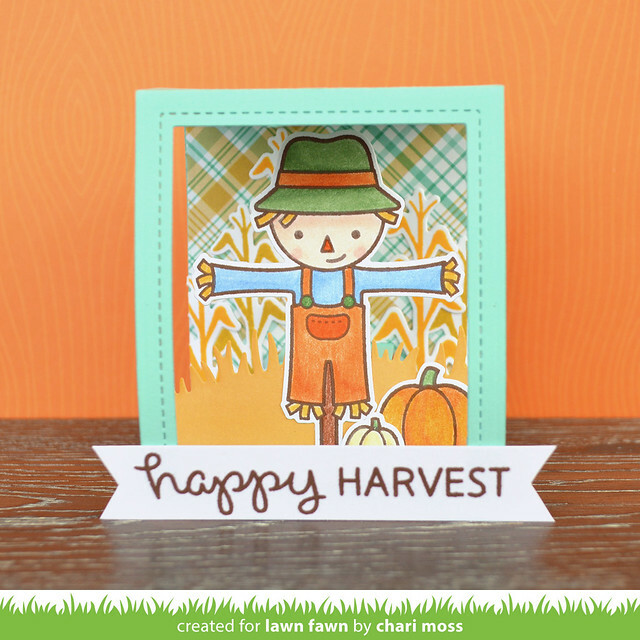 Be sure to visit the Lawn Fawn Blog for more examples using the Shadow Box die. Thanks for stopping by today! I have this stamp set and now I have another idea on house to use it! This card is incredible. can't wait to see more of your stuff as it's the first time visiting your blog!